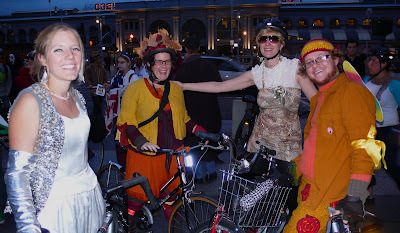 The people I rode this year's Halloween Mass with and I are still talking about how fun it was. 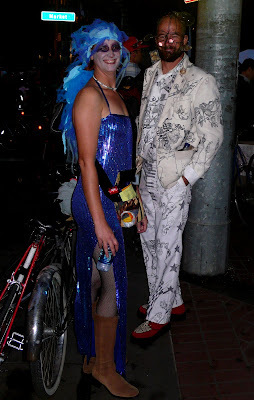 So here are some more shots of Halloween revelers to bring the moment back to you. 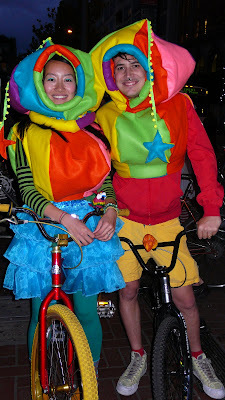 Just how CUTE is this colorful couple!?! 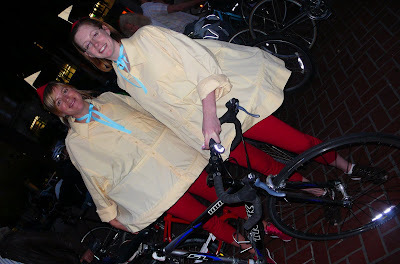 Let's hear it for Tweedle Dee and Tweedle Dum! Lovely fall colors paired with lovely smiles! 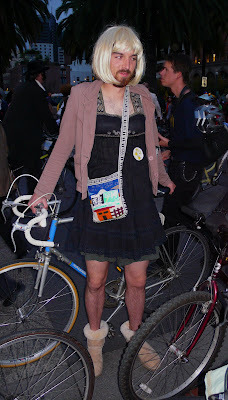 This boy in drag has got the look! All the way down to his Uggs. 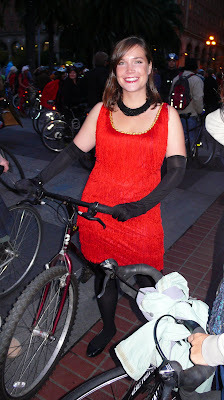 I bet you this red flapper dress looked awesome breezing through the Broadway tunnel. Stay tuned for more Halloween Mass!